10. 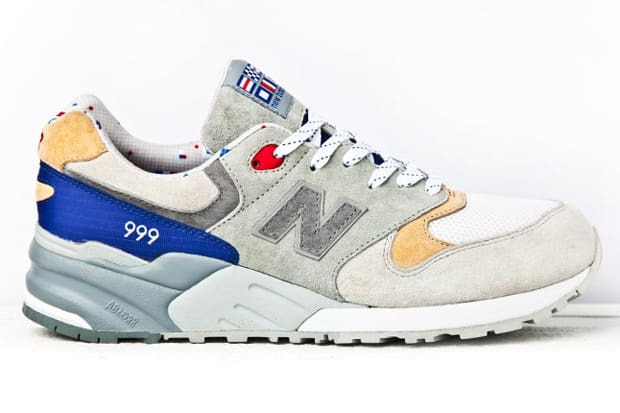 Concepts x New Balance 999 "Kennedy"
Complex says: Finally a non-Nike or Jordan brand sneaker makes our list, and for good reason. When Concepts unveiled their sneaker collaboration with New Balance, they were received with nothing but high praise from sneakerheads worldwide because of how well executed they were. Inspired by Massachusetts's rich sailing history and the Kennedy family, this was one of the most-anticipated sneakers of the year. Hundreds lined up outside of Concepts and the few spots that received them didn't have nearly enough of them to cover the line of sneakerheads they had waiting outside.